Social media marketing and mobile marketing are two approaches that have been at the top of everyone’s minds in the last couple of years. This post elaborates on the power of their integration. Certain things always work so much better when paired together: macaroni and cheese, Sherlock Holmes and Dr John H. Watson, Calvin and Hobbes. Take one away and the result just wouldn’t be as good as it would be when combined together. At this point you may be wondering whether this post has anything to do with marketing at all. Well, marketers have also found that one magic pairing that seems to make a whole lot of sense – social and mobile. 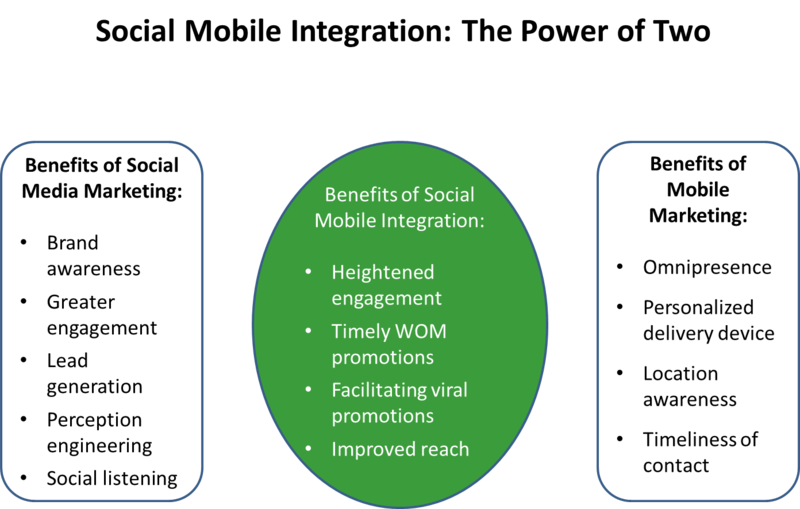 There have been awe-inspiring cases of social mobile integration to inspire businesses around the world. The most famous and obvious of which would be the Nike + fitness applications. For that matter the other fitness tracking applications in the marketing such as Endomondo also integrate the mobile aspects with the social to improve the overall experience and keep users hooked, improving brand recall and perception. The ideology has transformed Nike from being a brand for athletes to being a brand that every health-conscious individual turns to. Foursquare is yet another application that has leveraged the strengths of mobility with social interaction. Brands such as McDonalds have intelligently incorporated this into their promotional campaigns, reaping stunning results in the bargain. Your customers today thrive on instant gratification. 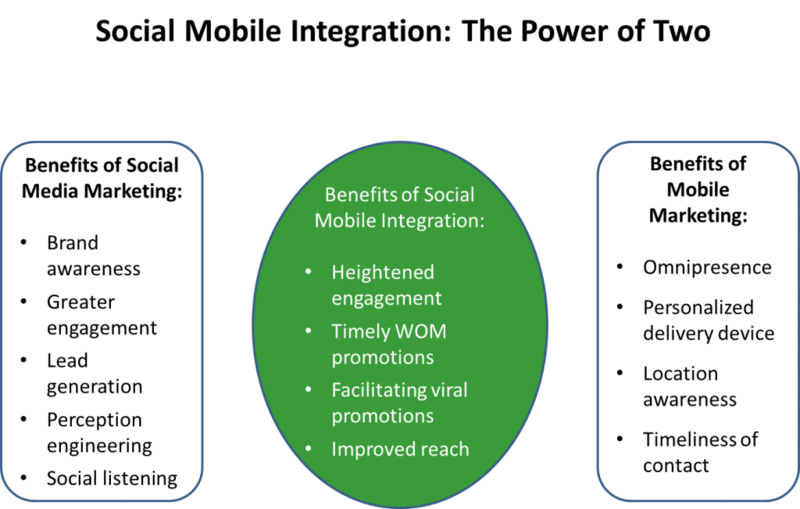 Can you meet those needs without a social mobile presence? Whether you like/accept it or not, your target group is already in a state of hyper-connectivity –with their friends and with your competitors. Do you really want to lose out on that conversation? With mobile marketing and social media marketing being the two avenues that marketers are working on fervently, integrating the two for an impressive experience just seems like the next natural, logical step. Ignoring this could mean that marketers fall short of customers’ dynamic expectations. The wisest thing to do, therefore, would be to find a way to combine the two in a manner that makes your brand stand apart.